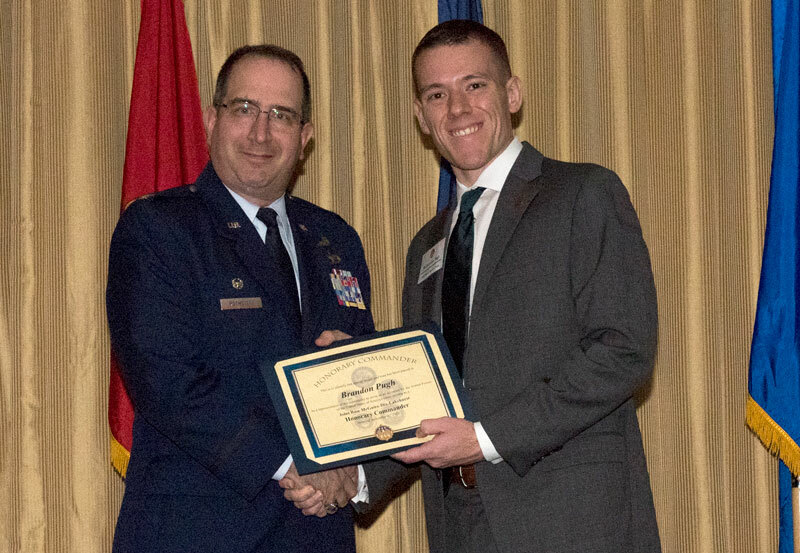 NJSBA Vice President for Legislation/Resolutions Brandon J. Pugh was named an Honorary Commander last week during a ceremony at the Joint Base McGuire-Dix-Lakehurst. The Honorary Commander program pairs civilian leaders with military commanders to form a partnership for a year. Pugh received the award from Colonel Steven Rothstein, Group Commander of the 108th Mission Support Group. 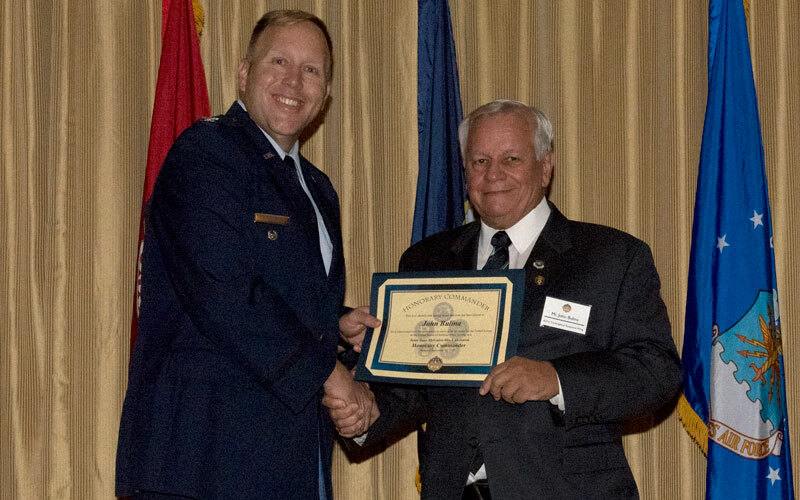 Former NJSBA President John Bulina receives his Honorary Commander award from Colonel James Hall, Vice Commander, 621st Contingency Response Wing.